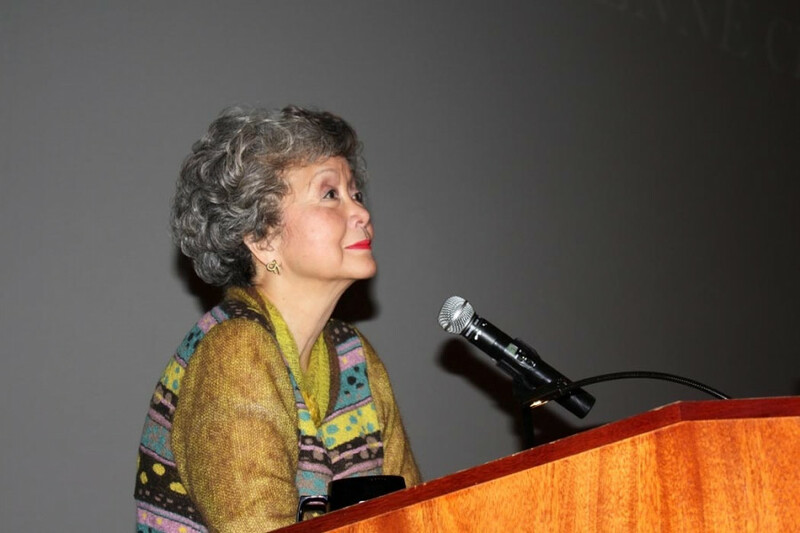 Before former Governor General Adrienne Clarkson spoke with Concordia last Thursday as part of the Concordia Student Union Speakers Series, she sat down with The Link for a few minutes. While keeping the conversation lighthearted, Clarkson showed that she was clearly busy in her retirement, touching on issues including journalism, boiled wool and urban planning. The Link: What do you hope to tell students today? Adrienne Clarkson: Oh, come to my speech. I’m not going to answer that! Nonsense. TL: Something you want to share with them? Yes! I have a whole speech. It’s an hour long. You were hoping to do that and not come to the speech. TL: We have someone else covering the speech. Ahh, well that’s the wrong way to do it. I was a journalist for many years and that is not the right way to do it. Okay? TL: So what did you take out of being a journalist for many years? That they have to do more work than the person they are interviewing. That when you are talking to somebody, nine-tenths of the iceberg is below. Unlike a lawyer’s training, [where] you never ask a question to which you don’t know the answer. Otherwise it might lead you down the wrong path. When you are a journalist, you have to ask questions that will not be something you know. And then, when that is said to you, you have to follow it. Its like watching ice melting on a wood stove. Have you ever seen a wood stove? Maybe in your generation you’ve never seen it. You put an ice cube on it and you watch where the rivulets run. You follow the rivulets. That’s what you do as a journalist and if you don’t do that, you aren’t a good journalist. TL: As a kid I remember throwing the ice cube on it and not knowing where it would land. That’s right! That’s what makes it fun to be a journalist, otherwise you should be an academic. Become a professor, so you can get the answers first. TL: Being a journalist sounds like a process of constant discovery. Yeah, that’s what’s fun. The only thing that keeps you alive is curiosity. People who don’t have any curiosity in their life are dead before they are buried. Or as my father used to say, ‘They might be dead, but they won’t lie down.’ You always need to be learning. TL: Did you learn anything today? Yes, I learned about boiled wool today. That’s one of my favourite fabrics. It’s a wonderful fabric and I have a project with my daughter to knit bowls. I bought a coat that’s boiled wool. TL: You came to Montreal and bought something? Yes! You can’t come to Montreal and not buy something. Yes, I was here for the Bethune book last year. Isn’t he marvelous? You have the statue right here! I’m trying to get a statue in Toronto, I keep telling them that Montreal has had one for 38 years, where are you? Right where the athletics centre is at the University of Toronto is where he lived in Toronto. TL: Have you had much traction on the issue? Well you know, we have a mayor now who is trying to cut the police force down, who is trying to cut everything down. I think I’m going to need to find private donors. I just don’t have time at the moment to go scurrying around for that. I’ll get it done eventually. TL: You live in the Annex in Toronto. Do you put your toe into municipal politics? No, I don’t want to prejudice any of the things I did as Governor General. I don’t want people to say, ‘Ah, she did this because she was Liberal or NDP.’ I think people know pretty clearly what I stand for. I take part in my Ratepayers Association, about the houses that get built and what people want to do with the neighbourhood. That’s always important in Toronto because it is under threat. I am in a movement of people who want condos to be built with three bedrooms. Because if you don’t, how many 30-somethings are going to be able to live in towers? They are going to want children at some point. The developers should be building apartments with either three bedrooms or two-bedroom apartments that can be joined. But at the moment the way they are putting them up, practically speaking, doesn’t work that way. This instead of having slums in 20 years, high-rise slums. Some of our older towers are already turning into slums, because they only have one bedroom. You’re hanging around for the speech, I hope?